California is one the biggest and most economically active states in the country. Over 38 million people live there. In addition to having the largest Gross State Product (GSP) level in the United States, California is home to some world-class industries and research institutions. Agriculture is also an important part of California’s economy. Most of the produce sold in the United States comes from farms in California itself. The Golden State is home to some pretty golden opportunities for anyone who wants to enter the hospitality and restaurant industry. The state is home to several parks, resorts and lodges that cater to almost every interest. Getting started in the hospitality industry today involves earning at least an Associate’s degree. Here is a guide to some of the institutions which offer programs specializing in hospitality, tourism and restaurant management. Foothill College offers a wide range of online courses that are designed to fit a variety of schedules. Some of these courses are offered in collaboration with California State University – East Bay for the same price as on-campus courses at Foothill. Students can complete their Associate’s degree requirements on campus without worrying about whether or not their credits will transfer. Since upper-level classes are offered entirely on-line, Foothill students can quickly and easily complete a Bachelor’s degree in Human Development or Recreation. This is an incredible opportunity for anyone who is hoping to continue on in their studies after completing the requirements for an Associate’s degree. Foothill College works together with CSU – East Bay in order to provide a top-quality hospitality degree. All upper-level coursework is completed via distance learning. Students can complete the basic education requirements leading to an Associate’s degree on-campus at Foothill College and then transfer “on-line” to CSU – East Bay in order to complete their education. The joint program offered at Foothill College is especially good for entry-level hospitality workers who want to earn a qualification and advance their careers. This is a great opportunity for students who want to earn a degree that fits their busy schedule. Students can continue to work full-time even after they transfer their credits from Foothill College. Learning outcomes from this collaborative program include the ability for students to understand and perform essential activities such as hospitality management and marketing, catering, business management and more. These skills will be vital as the hospitality continues to grow in order to meet consumer demands. In addition, the joint effort between Foothill College and CSU – East Bay also helps students plan their education and future around their existing obligations. In a job market where work experience makes all the difference, the chance to hold a hospitality job while completing a degree is not one that should be missed. Glendale Community College is home to an interdisciplinary Department of Hospitality and Tourism Management. The Department holds regular workshops and lectures from leading figures in the industry. In addition, the on-site Los Robles Restaurant helps students gain real-world skills that they carry with them after they graduate. The Associate’s degree program provides students with hands-on training in subjects such as housekeeping management, travel services, lodge and resort management, cost control systems and country club management. Industry partners of the Department give students the opportunity to gain valuable work experience as they earn their degree. Companies include Hilton, Marriott and Embassy Suites. After graduation, students will be prepared to either enter the workforce or continue on to complete a Bachelor’s degree in hospitality. Their previous experience and academic achievements will make them strong job candidates in California’s growing hospitality industry. Glendale Community College has high expectations for student learning outcomes in all of its courses. Graduates of the Hospitality and Tourism Management program will be equipped to successfully run and manage hotels, resorts and country clubs. They may choose to continue working in the state of California, or they may continue their studies elsewhere as they pursue career opportunities in the industry. The Computer and Office Studies Department at Long Beach City College offers on-campus, online and hybrid courses that allow students to work towards a degree or certificate without sacrificing other obligations. Students will graduate with the technical and vocational skills needed in order to succeed in their chosen careers. The Associate of Science in Help Desk/Customer Service program at Long Beach City College focuses on maximizing the ability of students to deliver high-quality customer service while managing a workplace or office. Students can then transfer their credits to a California State University (CSU) location where they can earn a Bachelor’s degree in hospitality, tourism or restaurant management. The skills that they acquired during their Associate’s program will make them perfect candidates for management positions in a rapidly growing field. The program offered at Long Beach City College is designed to maximize student learning outcomes while providing the training necessary for students to become top workers in the hospitality industry. They will be trained in basic information technology, help desk concepts, business telephone procedures, personal skills for the workplace, customer relations and more. This customer service oriented approach to hospitality studies will help them achieve a high rate of success in their future careers. The Department of Horticulture and Hospitality at Mira Costa College focuses on training students to become front-runners in the hotel, restaurant and hospitality industries. In addition to their Associate’s degree programs, the Department also offers certifications in Hospitality Management, Food Service Operations and more. Students working towards an Associate’s degree in Hospitality Management will take courses on hospitality law and regulations, human resources management, purchase and stock control and sustainable facilities management. The training they receive at Mira Costa College will give them the skills they need to enter the workforce after graduation as well as the knowledge required to complete a four-year degree in hospitality management. The theoretical background they will receive in aspects of hospitality regulations and policy will help students develop creative ideas to make the industry better. Learning outcomes for students who graduate from the hospitality program at Mira Costa College include the ability to assess and solve various problems related to the industry. They will be able to devise solutions for issues of stock control, customer satisfaction and sustainable hospitality services based on the knowledge they acquired during the course of their degree. As consumer interest in sustainability grows, so will the need for “green” hospitality services that appeal to customers and still manage to maintain solid business growth. Mira Costa graduates will be perfectly suited to tackle such issues. The Business Division of Mt. San Antonio College offers 25 different Associate’s degrees and 78 professional certifications. It is part of the Center of Excellence, which is a regional effort to provide high-quality education in community colleges across California. As part of the Business Division, the Associate’s degree in Hospitality and Restaurant Management is geared towards creating future leaders in the hospitality industry. Students are expected to complete classes in food safety and sanitation, dining room service management, hospitality supervision, cost control and more. They must also pass a ServSafe exam in order to receive credit that counts towards their Associate’s degree and allows them to work in kitchens where necessary. Some of the introductory coursework in this program is offered via distance learning, which makes it easier for students to work while earning a degree. Graduates of the program at Mt. San Antonio College will be perfect candidates for the restaurants and kitchens that are closely associated with the hospitality industry. Learning outcomes include the ability to supervise and manage busy restaurants in spas, resorts, hotels and more. They will graduate with the skills needed to tackle issues of customer satisfaction, food sustainability and more. 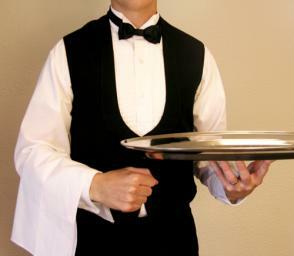 Fine dining in the hospitality industry is a growing field in which Mt. San Antonio College graduates would really shine. National University’s School of Business and Management is a premier California educational institution. Most of its degree programs are certified by the International Assembly for Collegiate Business Education (IACBE). The School of Business and Management offers degree opportunities at all levels for students interested in entering the field of hospitality and tourism. Coursework for these degrees can be completed on-campus or online, making it easy for students to gain practical work experience while finishing their studies. Their Associate’s degree in Hospitality and Customer Service prepares students for this fast-growing industry. Business and hospitality courses are combined to create a program that produces graduates who are able to quickly enter the workforce and contribute to creating a better hospitality industry. Students must complete at least 90 quarter units in order to graduate, with 31.5 of those units being earned on-campus. Their Bachelor of Science Degree in Hospitality and Casino Management is specially certified by the IACBE. This degree is meant to produce graduates who are professional leaders in the fields of hospitality, tourism and casino management. They are expected to be competent developers of business policies for these fields. To earn the degree, students must complete 180 quarter units, 45 of which take place at a National University campus. 76.5 credits must be at the upper division level. The School also offers a Master’s degree in Management and Information Systems, which can help hospitality graduates gain the skills they need to provide practical solutions to issues in the industry. National University graduates will have a head start on job vacanies in the hospitality industry. Learning outcomes for students include the ability to perform important research and think critically about the industry. The opportunity for advanced education in management will help experienced hospitality workers advance their careers. The courses that students take in the School of Hospitality, Travel and Tourism can be used a credit towards earning an Associate of Science Degree. The program offers a wide range of speciality studies, including airline travel and hospitality, bed and breakfast services and more. Their Airline Travel Careers program helps prepare students to become part of the airline industry in just one year. students can also specialize in spa management and public service. They can then transfer to a four year institution that accepts their credits if they wish to do so. Orange Coast College provides the necessary foundational skills that new graduates need in order to break into the hospitality industry. Learning outcomes will vary according to the sub-field in which students specialize. However, all graduates of the program will be proficient in the basics of hospitality law, business management and customer service. The Division of Business and Computer Technology is home to over 130 courses in a field of different subjects. Classes are tailored to fit around a variety of schedules so that education does not interfere with work and life obligations. Hospitality Management students will take a range of different courses as a means of introduction to the hospitality industry. Subjects include business mathematics, computer technology in businesses, hospitality marketing and more. Students must take and pass 48-49 units related to hospitality studies in order to graduate from the program. Courses must be passed with a C or better. Students are also expected to complete a work experience program or internship in addition to the on-campus education that students receive at Pasadena City College. The College has links to several nearby businesses that participate in this program. Pasadena City College graduates will benefit from a program that combines computer technology, marketing, business and hospitality. Learning outcomes include the ability to successful lead and manage in hotels, resorts, recreational facilities, private clubs and more. If students choose to continue their education after completing the Associate’s degree at Pasadena City College, then they will find that their previous work satisfies a good deal of academic requirements at other institutions. After students earn their degrees, they can enter the workforce as cooks, hotel managers, resort workers and more. They can even transfer their credits to a four-year institution and begin working towards a Bachelor’s degree in Hospitality or any other related field. The Associate’s degree that they they earn will put them on the right track for a great job in a growing field. According to the Bureau of Labor Statistics, the hospitality and leisure industry has been steadily growing in recent years. This rate of growth is expected to increase over time, meaning that hospitality graduates will have a wide range of options available to them as they enter the workforce. A degree from any one of these California institutions will be a major asset to their resumes.